Welcome to the thirty-second installment of the Haunted Montreal Blog! Released on the 13th of every month, the December 2017 edition focuses on research we are carrying out into a Montreal urban legend about a mysterious, cursed house where tragedy allegedly unfolded in 1905. With the Public Season now over, Haunted Montreal is moving into its winter mode and is not offering any more public ghost tours until May, 2018. Stay tuned for some of the ideas we are planning for the winter months! 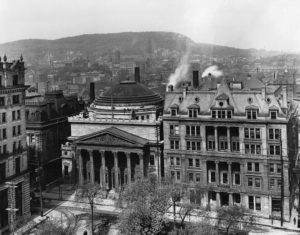 According to a persistent 20th Century urban legend, Montreal once had an extremely cursed house that was the site of tragedy in 1905. While the location of the cursed home is unknown, several sources tell the terrifying story of a little 5-year-old girl named Gisèle Fortier. In the gruesome tale, Gisèle had the misfortune of moving into the cursed house with her parents, an author named Paul Fortier and his wife Denise. Paul was excited because he had purchased the old home for an extremely low price in 1905. The father was happy with the large, New France-style home because he thought it would be an ideal place to further his writing career. His first book, The Fields of Amaranth, was receiving positive reviews. This encouraged him as he worked steadily on his second literary work. Everything was going fine until Denise began to worry when she noticed paranormal activity manifesting itself inside the dwelling. On some days, she could hear the disembodied voices of children laughing and felt as though invisible eyes were following her. At other times, the temperature would mysteriously drop and gnawing cold spots would emerge inside the home. Perturbed, she began researching the home’s past. After speaking with neighbours, she was upset to learn that her home was steeped in tragedy. 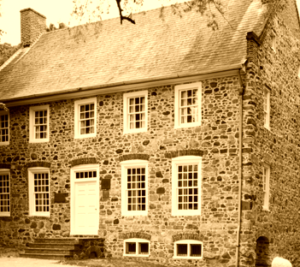 It had once housed a correctional facility for wayward children and during the 1800s two boys had murdered the owner and his wife before setting the building on fire. Denise learned that the boys had been arrested for their gruesome crime. Following court proceedings, they were found guilty and were then hanged by the neck until dead. While the home had since been rebuilt, it was apparently haunted. Apparently nobody wanted to live there, which explained why Paul was able to purchase it for such a low price. When Denise told her husband about her findings, he was dismissive. Upset, she began pondering what to do about the problem. She finally decided to go to a priest at the local church and she asked him to exorcise the cursed home in order to banish the ghosts. The sceptical priest also dismissed her, assuming she was simply having difficulty maintaining such a large home. 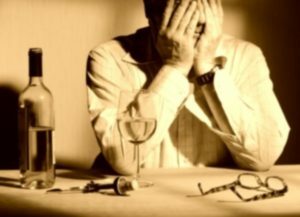 One evening, there was tension in the home after Paul had consumed a full bottle of wine. He and his wife were not getting along due to her obsession about paranormal activity in the home and his refusal to believe it. Young Gisèle didn’t want to go to sleep because a mysterious cold spot had appeared in her bed the night before. She begged her mother to take her away from the cursed house. Denise insisted everything would be fine in the morning after the sun rose. She tucked Gisèle in, gave her a kiss on the cheek, and told her not to worry. It would be the last time Gisèle ever spoke with her mother. Lying there in the dark, afraid, Gisèle tossed and turned in her bed. After some time, she soon began to smell smoke drifting through the house. She bolted out of her bed and ran down the corridor to her parents’ bedroom. She flung the door open and saw what looked like a fiery inferno engulfing the bedroom. 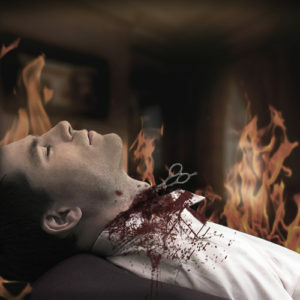 Peering through the thick smoke, the first thing she spotted was her father, who was lying on the floor in a pool of blood with a pair of scissors jutting out of his neck. Gisèle then noticed a commotion on the bed. She looked over and saw that her frenzied mother was being viciously attacked by two small boys who were both ghostly and naked. Their bodies shook with soundless laughter as they pounded their fists into Denise’s bloody and bruised face. Gisèle immediately ran to the neighbor’s house, crying incoherently for help as she tried to explain what was happening. Unfortunately, the damage was already done. Her father was already dead and her mother was found to be in a coma. In a catatonic state, Denise was taken to hospital. The doctors were unable to awaken her from the coma and she died three months later. The police tasked with investigating the case interviewed Gisèle, but were skeptical about her description of the events. The chief investigator noted that there was no evidence of any fire in the home, or ghostly boys for that matter. The police concluded that it was a tragic case of conjugal violence. They believed that the father had attacked the mother in a state of drunken rage and assumed that during the violent struggle, Denise had defended herself with a pair of scissors, which resulted in her husband’s death. The police also believed that young Gisèle’s description of the events was not based on reality, but more on psychological trauma and childhood imagination. 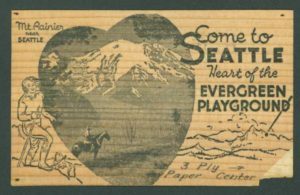 Orphaned and traumatized, Gisèle would be sent to Seattle to live with her grandparents, leaving the home abandoned once again. 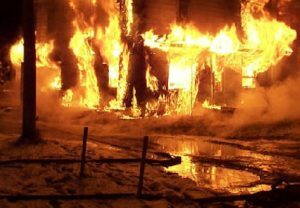 In 1906, the cursed house burned down for a second time. It was never again rebuilt. Given the persistence of this Montreal urban legend, questions arise about its origins and whether there is there any truth behind it. Urban legends are a very strange type of story indeed. The term is used by folklorists to describe stories of doubtful authenticity that are widely circulated as being true. 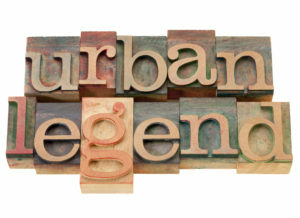 An urban legend is a second-hand story, alleged to be true and just plausible enough to be believed, about something horrific, embarrassing, ironic, or exasperating that supposedly happened to a real person. English Professor Jan Harold Brunvand of the University of Utah introduced the term “urban legend” in a series of popular books published in the 1980s. 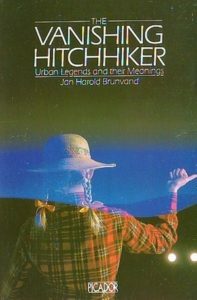 Brunvand made two arguments using his 1981 collection of legends, The Vanishing Hitchhiker: American Urban Legends & Their Meanings; firstly, that legends and folklore do not occur exclusively in so-called primitive or traditional societies, and secondly, that people can learn much about modern, urban culture by studying such tales. Many urban legends contain elements of mystery, horror, fear or humour and they often serve as cautionary tales, usually for children or teenagers. The problem is that most urban legends are simply not true, despite their legions of believers. How these legends begin is often unknown, but their ability to spread is impressive. Like a game of broken telephone, urban legends can also change over time, and the people retelling the stories may add their personal biases or prejudices. 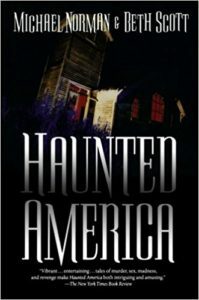 The book in question is likely Haunted America by Michael Norman and Beth Scott, which was published in 1994. Beth Scott was full-time freelance writer for more than thirty-five years who died around the time of the book’s publication. Michael Norman, born on June 29, 1947, is an American author known for his supernatural series of books such as Haunted Heartland, Haunted Wisconsin and Haunted Heritage. When contacted to learn what his sources were for “The Cursed House”, he did not respond to requests for an interview, essentially thickening the mystery. With talk of this being a “true ghost story”, in 2012, a website called “Scary for Kids” also listed the tale. The fact that the two ghostly children in Briana’s version were replaced by “black boys” raises questions about unconscious racism, and whether it was somehow at play in her retelling of the tale. The urban legend broke the language barrier in 2010, when it first appeared in French. 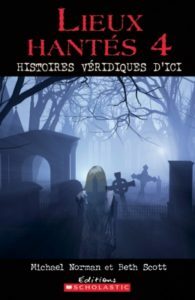 Scholastic Books published Lieux hantés 4: Histoires véridiques d’ici, a direct translation of Michael Norman and Beth Scott’s earlier works. Entitled “Les enfants de la nuit” (translation: Children of the Night), the story appears on pages 59-62. In 2016, the story crossed another language barrier when a Romanian blogger named Rodica Bretin wrote “Amintiri Incendiare”, a detailed and further-embellished version of the legend in her mother tongue. 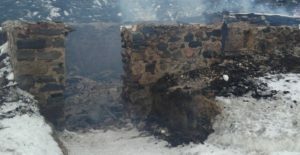 It seems as though the urban legend of Montreal’s cursed house keeps growing and spreading, despite its dubious origins. 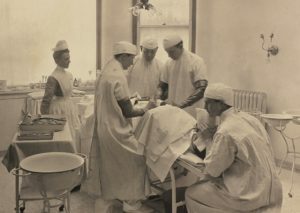 To get to the bottom of the story, Haunted Montreal asked its archivists to delve as deeply as possible into the historical records to look for answers. 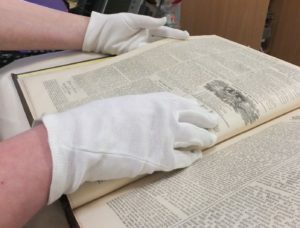 After scouring various archival sources for over a month, the researchers came up empty-handed. Simply put, there is no evidence that any of it ever happened. There are no media reports of the tragic incident, no hospital records, no death notices for Paul or Denise Fortier, no reports of children being executed, and no evidence that the book The Fields of Amaranth by Paul Fortier even exists. The archivists suggested the story was an elaborate ruse, pointing out that it first appeared in the American tabloid World Weekly News on November 10, 1981 (Volume 3, Issue 5). Under the headline: “Murderous ghosts were deadly guests in house of horror”, tabloid journalist Rob Robbins recounted the tale in gory detail. 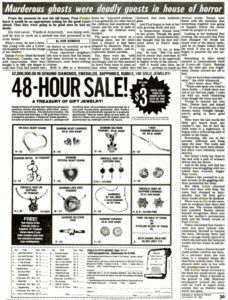 Further research revealed that the original source for the story, The Weekly World News, was a largely fictional news tabloid that was published in the United States from 1979 to 2007. Infamous for its outlandish cover stories, often based on the supernatural or paranormal, its themes and approach to news verged on the satirical. 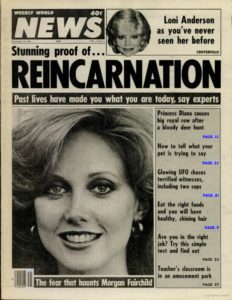 The Weekly World News ceased publication in August 2007, but its characteristic black-and-white covers went on to become pop-culture images widely used in the arts. Why American tabloid journalist Rob Robbins chose to set the outlandish story in Montreal or create a family of francophone protagonists is unknown at this time. The precise level of detail in the writing, from exact year of the home’s construction to the title of the father’s book, creates an air of believability. However, by all appearances, this story is nothing more than a piece of tabloid journalism, or “fake news”. How this urban legend was able to spread so far and garner so many believers attests to the power of these types of stories. In their constant re-telling and embellishment, urban legends have the uncanny ability to grip the public imagination and keep people talking for years to come. If anything, the story of Montreal’s cursed house amply demonstrates that urban legends tend to take on a life of their own, despite their dubious origins. Haunted Montreal is pleased to announce that a company called Feedspot has bestowed our blog an award for being among the most popular in Montreal. With the season of public ghost tours now over, Haunted Montreal is moving into winter mode, meaning there will be no more public tours until May, 2018. Private tours are still available for groups of 10 or more people, subject to the availability of our actors and weather conditions. We are going to try and develop some activities for the winter, such as haunted pub crawls. 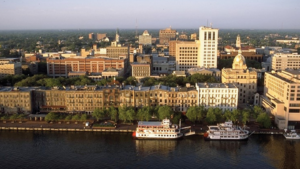 Indeed, a research trip to Savannah, Georgia is in the works to explore the haunted pub crawls there. If you have any suggestions for haunted activities during the winter months, please contact info@hauntedmontreal.com. A big thank you to all of our clients who attended a Haunted Montreal ghost walk during the 2017 season! If you enjoyed the experience, we encourage you to write a review on our Tripadvisor page, something that helps Haunted Montreal to market its tours. Lastly, if you would like to receive the Haunted Montreal Blog on the 13th of every month, please sign up to our mailing list. The legend of la chasse-galerie, or The Flying Canoe in English, is one of the most popular folktales in Quebec. Dating from the era of New France, the story has many different variations, most of which involve sinful men, a flying canoe and a deal with the Devil. In Montreal, the most popular version was written in 1892 by Honoré Beaugrand, a famous journalist, politician, author and folklorist. His tale involves loggers in the Gatineau region who make a pact with the Devil in order to give their canoe the power of flight. Their goal is to visit their sweethearts in the village of Lavaltrie on New Year’s Eve. The Devil warns the men they must not blaspheme, drink alcohol, or touch any crosses atop church spires during their voyage. When the canoe flies over Montreal, it whips past steeples, including the towers of Notre Dame Church, en route to Lavaltrie. 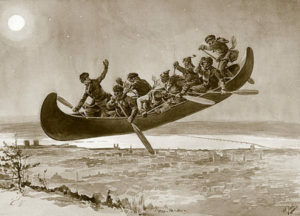 On the return voyage, a drunken, cussing navigator named Baptiste crashes the canoe into a snowy clearing on Mount Royal, causing the men to panic and fear for their very souls. Just what are the roots of this fantastic legend and how is it connected to Montreal?